Named after Andrew Jackson, Jackson, MS sits on the banks of the Pearl River. It is Mississippi’s most populous city, with over 150,000 residents. The city has been a part of almost every major turning point in American history. It was a place under siege—twice—during the civil war and almost completely burned to the ground after falling to Union forces in 1863. Events in Jackson also had tremendous influence on the 1960’s Civil Rights Movement, such as the arrest of 300 Freedom Riders in the city and the murder of Medgar Evers by a white supremacist. If you need an attorney in Jackson, let LegalMatch.com find the right one for your case. Simply tell LegalMatch.com about your legal problem, and we will match you with local Jackson lawyers who know how to handle your case and are ready to help you. We provide you with background information on every attorney and guarantee that each lawyer is in good standing with their local bar. Our free service gives you unparalleled access to information about your potential lawyer that you can’t find anywhere else. This is the most important decision you may take in solving your legal issue. Why not be as informed as possible? Jackson attorneys can represent you in any legal capacity. Cases they regularly handle include: criminal law, bankruptcy law, real estate law, personal injury law, divorce law, probate law, and many others. Former Attorney General Mike Moore, a Mississippi attorney currently practicing in Jackson, famously won over $4 billion for the state of Mississippi in a lawsuit against Tobacco companies in 1997. Even if you don’t have a $4 billion case, a Jackson lawyer is ready to help you. 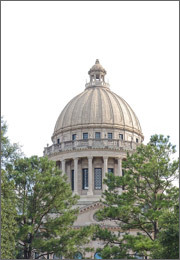 Jackson attorneys practice in many different courts in the Mississippi court system. Courthouses in Jackson include the Municipal Court and the Justice Court, to name a few. If you have a case in Jackson, it pays to have a local Jackson attorney who knows how to navigate these local courts. You might not be ready to speak to a Jackson lawyer yet. Instead, discover more on your legal issue at LegalMatch’s extensive online Law Library. Or, check out some tips on hiring a lawyer in our top 20 legal tips section. If you have a specific question, join LegalMatch’s Lawyer Forum and post it, or read the numerous question and answer threads.